Wild South’s internship program connects dedicated individuals with work that matches their interests and develops their skills. We have had many wonderful interns over the years, including Allegra Torres, our most recent intern in the Linville Gorge Wilderness. Allegra Torres was a Wild South intern from August to December of 2015. She worked closely with Kayah Gaydish, Wild South’s North Carolina Conservation Coordinator, before Kayah passed in a tragic climbing accident at the end of the year. They spent many hours in the Gorge together, removing invasive species, maintaining trails, and removing litter from the trailside. Allegra’s internship was a class requirement for her Environmental Studies degree at the University of North Carolina in Asheville. Over the course of the semester, she spent over 100 hours in the Linville Gorge. At the end of the semester, she presented her final project on the effects of wildfires and how it can change the natural environment, in this case introducing exotic and invasive species. Allegra spent her weekends in the Gorge removing Princess Trees, the non-native invasive plant that blossomed after the fires in 2013. Using hand pruners and folding saws, she would remove the trees and hang them on nearby limbs to dry out the roots so they could not continue to spread and choke out the native plants. 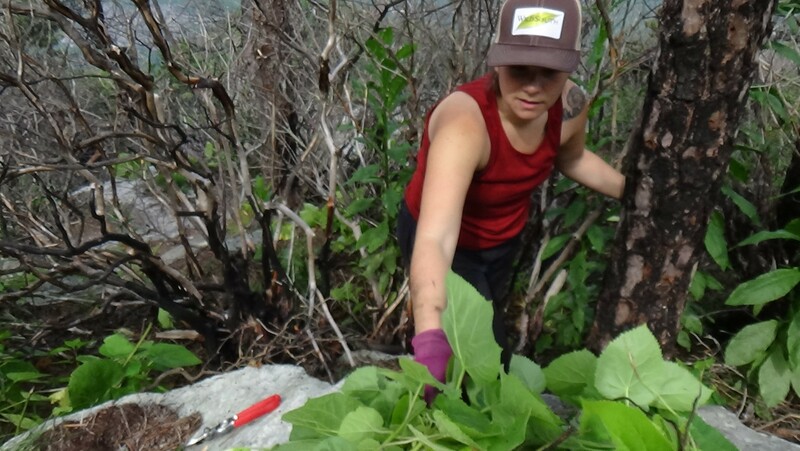 Linville Gorge is home to several rare plant species and with the Princess Trees moving in, it was essential to work quickly before the native plants got choked out. Pulling up the small saplings before they developed seed pods helps prevent the Princess Tress from spreading. Allegra first fell in love with western North Carolina when she came to the area thru-hiking the Appalachian Trail in 2012. After completing the hike, she and her husband Jake made Asheville their new home. Currently, they are building a tiny house on a piece of land in Hendersonville, North Carolina. 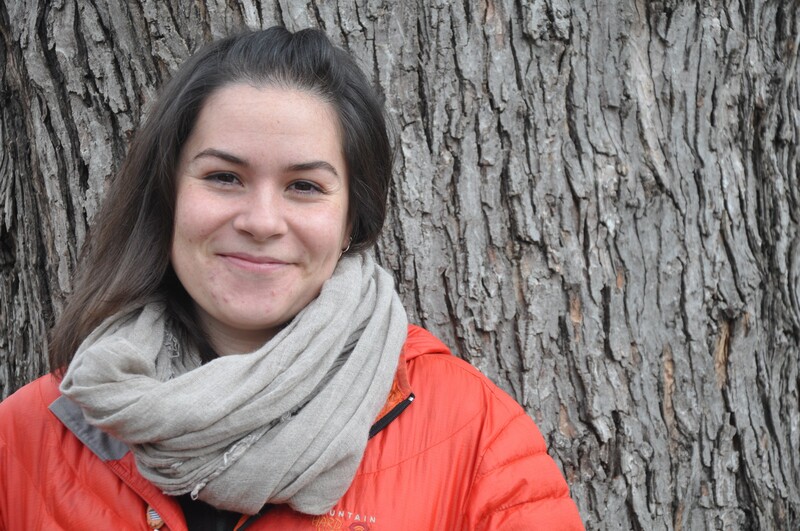 Wild South is extremely fortunate to have had Allegra as part of our team and we are grateful for her many hours of service to care for the Linville Gorge. For more information about our internship program and how you can be involved, please visit http://wildsouth.org/conservation-fellows-program/. We are currently accepting applications for the upcoming summer. A resume and cover letter can be sent to Dr. J.J. Apodaca at jj@173.236.11.114.